I am back Millennials, with another great summer deal! 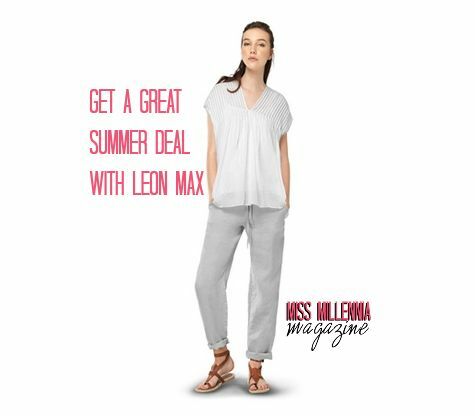 Leon Max, an awesome clothing brand that I’ve written about before, is back with another chance to own this gorgeous and very much inspired designs. I love this brand because it is sporty that has a feminine feel–just like me! The Leon Max brand pays close attention to detail with high-quality craftsmanship so you know that your clothes will last long. This brand was designed in both L.A. and the English countryside so it is a beautiful mix of glam while still be traditional. Leon Max is known as the go-to brand for many celebs like Sarah Jessica Parker, Zooey Deschanel, and Olivia Wilde, to name a few. This sale started on June 11th, Millennials. The savings go up to 50 percent off all of this summer’s hottest styles. Visit Max Studio’s clothing page today and start shopping before all of the great deals are gone for good! There is so many to choose from, it is hard to say no to anything. So, of course, I took advantage of this awesome sale! Here are a few of the cute things that I have managed to snag. I love these shoes! The wooden wedge keeps these natural looking while the orange leather is super fun and will very much stay in style for a few summers. These shorts are so darn adorable! I can see myself wearing these all summer long. The material is super lightweight and breezy. Plus, they go well with my new wedges! These have inset pockets and a drawstring that really gives off the summer beach vibe. These pants are ultra comfortable and perfect for lounging around in! You have to have at least one cute romper in your summer wardrobe. This on is perfect for shopping during the day or for a night out on the town! 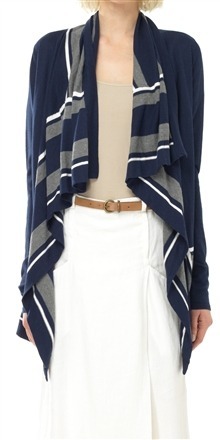 Last but definitely least is this cardigan. This is great because it has a structured shape, but it is still ultra comfortable! With a chic striped design, you can dress this up or down. Leon Max’s fashion line uses cutting edge materials and techniques that keep people coming back for more. These are everyday pieces with unique twists by using embroidery, beading, prints and a little bit of sparkle! Each piece is subtle and effortless so it can be worn to work or just during a day out. So this is what I really liked on Leon Max’s fashion site. Now it is your turn Millennials. Check out this website and find something that you love to wear for this summer. Let me know what you all have decided to get in the comments section below! This is a sponsored post on behalf of Leon Max. All opinions are 100% my own.